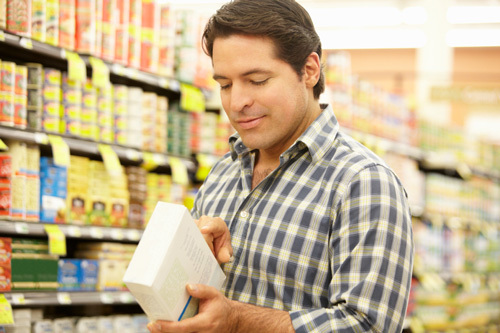 Researchers from the University of Gottingen evaluated the potentially detrimental effects that health claims and front-of-packaging nutrition labeling may play in a consumer’s purchasing and consumption behaviors. Nutrition labeling has always been instrumental in public health policy for informing consumers on making healthier food choices. Most developed countries have determined guidelines for mandatory nutrition labeling in order to help consumers reduce their intake of unhealthy nutrients and increase their intake of the healthy ones. However, in recent years, manufacturers have found a way to manipulate the guidelines to serve their needs and increase sales. They have found ways to make foods appear healthier to make them a more appealing purchasing choice. Manufacturers have manipulated nutrition information by decreasing the serving size specifics so that the nutrition facts appear to be more appealing as they show reduced amounts of unhealthy nutrients in a serving. Often, this has led to increased intakes of that product. Researchers used purchase data over a two-year period from over 1,500 stores across the U.K. on 61 products, including 24 types of yogurts and 37 types of cookies. The first year was before the front-of-packaging nutrition labeling existed and the second collection of data occurred a year after the labeling was introduced. Their goal was to use the data to evaluate the consequences of food marketing in both healthy and non-healthy food options, while considering the smaller servings sizes of these products and claims. Their findings revealed that sales of the healthy food choice—yogurt—increased when serving sizes were decreased so that consumers would think that the food choice had lower amounts of unhealthy nutrients. This product was therefore perceived to be healthier. When evaluating purchasing behaviors regarding an unhealthy choice such as cookies, sales volumes did not change. Researchers believed that consumers disregard nutrition labels when selecting unhealthy and indulging food purchases. The labeling containing smaller serving sizes makes no differences for these types of purchases as consumers are more concerned with taste and enjoyment and may even prefer increased amounts of unhealthy food choices. You need to consider the serving sizes that are found on the packaging and take that into consideration when making your purchasing and consumption choices. Manufactures may decrease the serving sizes to suit their needs; however, this often leads to increased consumption of these products since consumers will still consume recommended serving sizes, disregarding the manufacturers serving size. Although labeling is meant to be a way to inform consumers to allow them to make educated food choices, unfortunately, this is doing the opposite. Consumers are making poorer choices. They are increasing their purchases of these perceived healthy foods and may even be increasing their overall calorie intake since they are continuing to consume recommended servings sizes, not the serving sizes that appear on the labels. Elshiewy, O., et al., “Seduced by the label: How the recommended serving size on nutrition labels affects food sales,” The Journal of the Association for Consumer Research 2016; 1(1): Forthcoming. Available at SSRN:http://ssrn.com/abstract=2705141.